Restoring your smile with dental implants offers many benefits. Dental implants are permanent, durable tooth restorations that look and function similarly to natural teeth. Like natural teeth, they need ongoing maintenance and care. 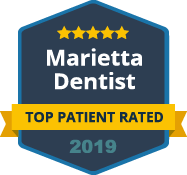 Dental Care Center at Kennestone offers excellent dental implant placement as well as repairs, maintenance and restorations to care for your new smile. Dental implants can often last for decades. However, there are cases where an implant may become loose or become damaged. When this occurs, our implant experts can restore your dental implants, replacing them if necessary. Trauma, disease and other factors can jeopardize your implants. With our advanced technology and experienced implant dentists, we can ensure your dental implants continue to give you a beautiful, functional smile. Dental implants can be damaged just like natural teeth. Impact or pressure can crack or chip the dental crown of your dental implant, requiring repair. However, unlike natural teeth, damage to your implant does not usually cause pain. You may be unaware your dental implant is damaged if it is not visible. It is vital to continue coming in for routine checkups to ensure your dental implants are in good condition. 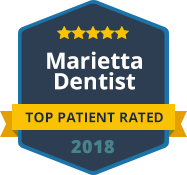 If a repair is needed, we can perform the needed procedure right in our office in Marietta. We can replace broken dental crowns, repair damaged posts and address any other implant issues to preserve your smile. Dental implants are a significant investment into your appearance and oral health. Protect that investment with regular visits for checkups and continued care for all your teeth. Our team at Dental Care Center at Kennestone is here to help you maintain a healthy beautiful smile. This includes repairing and restoring your dental implants. Contact our office today to schedule your next checkup or consultation for a dental implant repair.